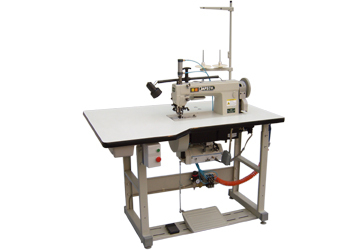 ■ Applicable to stitch decorative hand-stitch，saddle stitch，pick stitch on men's suits，ladies wear，casual shirts & trousers. ■ Real hand stitch which sewn with 1 needle 1 thread. ■ Pedal padel / Press Button for inversion stitch. 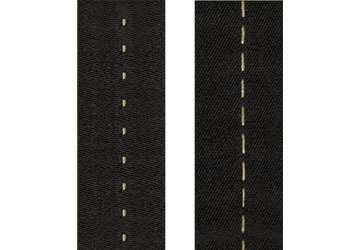 ■ Press button for half-stitch. ■ Penumatic latch wire lifter. ■ Air dust gun for cleaning.